The kitchen is the heart of the home as well as a hub of home connectivity. To stand out as a home builder, you need to make sure the kitchen appliances you select for a new home meet homeowners’ cooking and baking needs while also creating a meaningful connected experience. With the new KitchenAid® Smart Oven+ with Powered Attachments, you can do both. 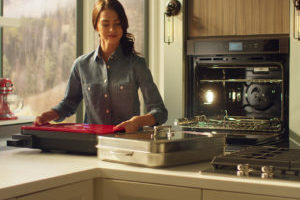 The KitchenAid® Smart Oven+ with Powered Attachments, which marks the brand’s entry into the smart home category, won a 2019 CES® Innovation Award. It features three interchangeable, oven-powered attachments that expand the creative horizons of a wall oven to include grilling, baking and steaming within one appliance. Work with the Yummly® app, allowing homeowners to customize cooking to personal tastes, nutritional needs, and skill level. Bake a meal without attachments with the Even-Heat™ True Convection Oven. Allow users to easily view and select from a variety of capabilities through its 4.5-inch, full-color, glass-touch LCD display, which is compatible with mobile devices. 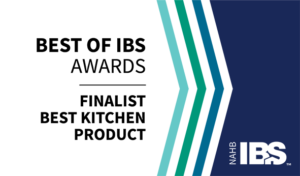 Tie in with an app. More information about the new Smart Oven+ and the brand’s entry into the smart home category can be found in the official press release, here. * WiFi & App required for connected features. Features subject to change. Details and privacy info at kitchenaid.com/connect and yummly.com. Appliance must be set to Remote Enable for remote control capabilities.